A couple of weeks ago, before leaving for Europe, I stopped by the High Lonesome Ranch in De Beque, Colorado. Controlling about 300 square miles, the High Lonesome is a remarkable spread. And if you like wildlife, you’re in Heaven. It’s sort of akin to a private national park. And it shows how free markets are an excellent steward of natural resources. 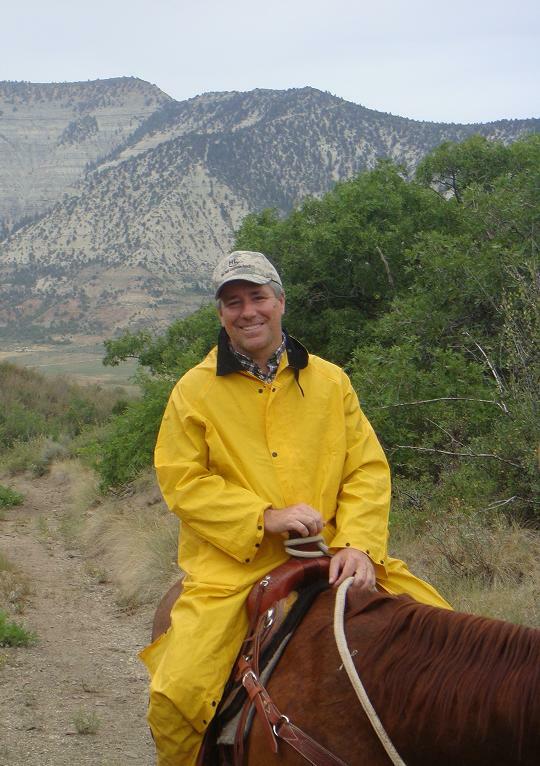 The folks at the ranch brag about having the heaviest concentration of elk, deer, bear, and mountain lion in the country. That’s probably not easy to verify, but deer and elk are ubiquitous and I saw two bear on the trip (I also saw a badger on a previous visit). The mountain lions are largely invisible, though the ranch has a project – as part of its education and conservation work – with some academics to monitor the range, feeding habits, and behavior of these impressive animals. Another noteworthy feature of the ranch is the way hydrologists are protecting and restoring streams and ponds. 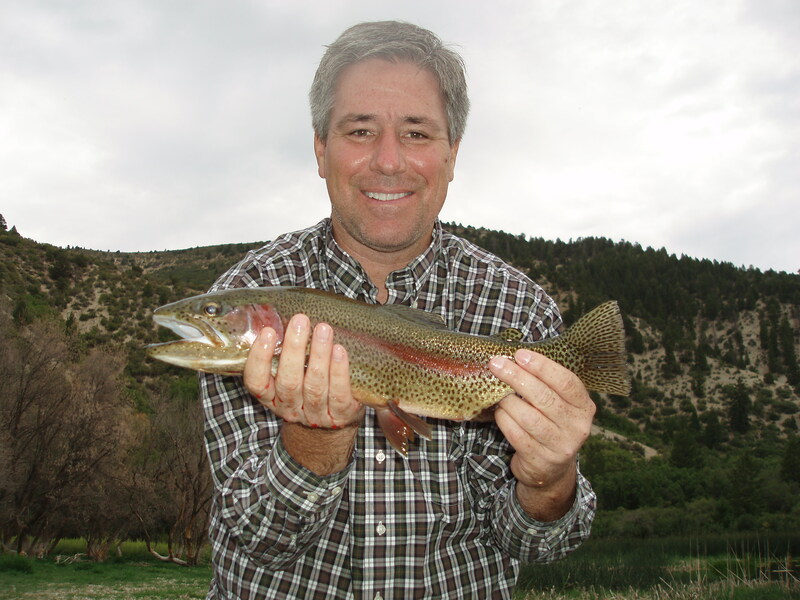 They have an incentive to do this because people from around the country come to the High Lonesome for fly fishing. I very much doubt that all this valuable work would take place if a bunch of bureaucrats were in charge of the property. Or, if it did take place, it would take three times as long and cost five times as much thanks to the nightmarish incompetency and misaligned incentives of the government procurement process. Hunting is another source of revenue that enables the ranch to preserve natural resources. It goes without saying (but I’ll say it anyhow in case some leftists read this) that this means the owners have a big incentive to protect wildlife and ensure a sustainable harvest. Heck, there are now so many bear that they are almost at the point of being a nuisance animal. I did a bit of fishing, as you can see from the photo with the remedial trout. Maybe I should try some hunting at some point. But probably not bird hunting. 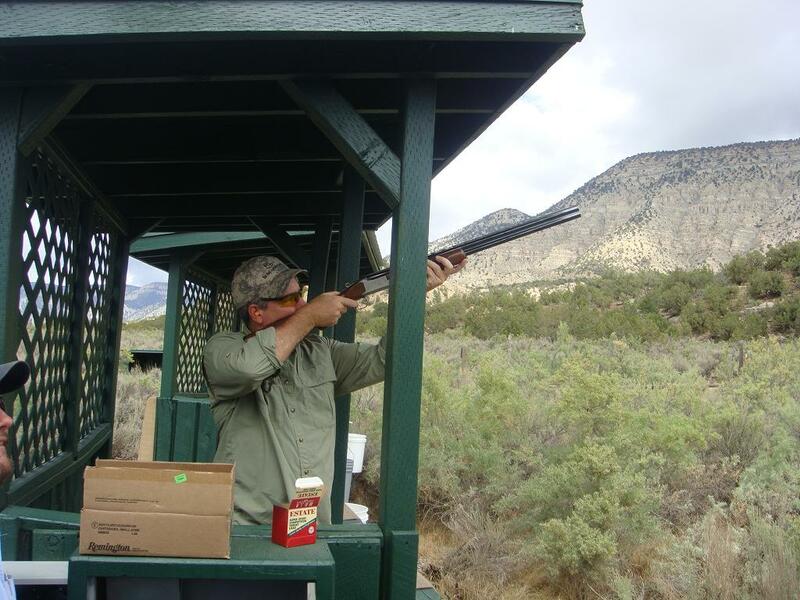 The ranch is filled with pheasants, quail, chuckers, and other game birds, but I haven’t been overly impressive when I’ve tried the sporting clays. The clay that shoots straight in the air was particularly vexing. Fortunately, I doubt burglars would have that ability, so I’ll still be okay with home defense. While I wasn’t overly proficient with the shotgun, I think I did okay with the rifle. 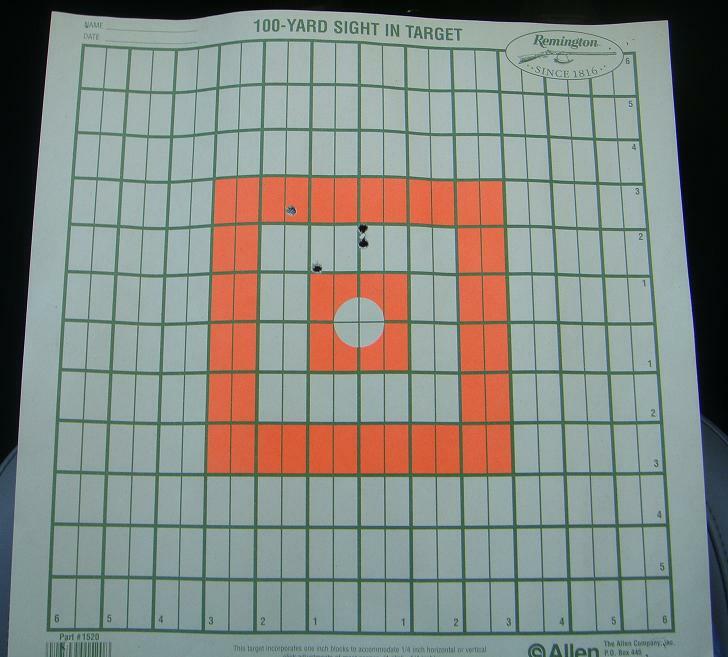 I was a bit high and to the left on the target range, but one of the guides said anything within the bigger orange square is a kill shot. Then again, part of their job may be to stroke the egos of visitors from the cities and suburbs. In any event, a bear hunt might be a good idea. I have a fireplace at home, and it might look nice with a bearskin rug in front of it. All I’d be missing, then, is a lovely lass to pose on it. But I’m digressing. The point of this post is to simply note that this piece of property is something every environmentalist should applaud. And it’s all made possible by the free market and private property rights. One final point: In the interests of full disclosure, I’m an officer in a company, created by a foreign investor, that owns about 50 percent of property. But that doesn’t influence my views. It’s my pre-existing belief in private property and the environment that made it very easy for me to say yes to the this opportunity. on February 2, 2016 at 10:13 am The Jackson Press – Is Privatization of Western Lands the Answer to the Face-Off with the Feds? Re: the Donachy’s post, first they may not have visited any of our numerous National Parks, all of which require admisssion fees (unless you are a senior citizen). As to the 300 square miles, that’s 300 sections and can measure as small as, say 15 miles by 20. By Montana standards, where I live, not a lot of space. on October 4, 2012 at 4:57 am Author : Sanjay Kumar !! Nice three hundred square mile ranch there. Shame should some majority determine a better fate for it! BTW, that target seems mangled by the blast. Did you set it at two yards? Ranch sounds like the ideal place. Yes private property is very important. For the marxist to win he must regulate that property is government owned for the animals only. This is the goal of Agenda 21. Starting in CA already. I keep telling husband to buy property but to no avail. But won’t stop trying. All should own land of some type. These are the rights we must fight for. “It’s sort of akin to a private national park.” Truly sad stuff here, Dan. Many of us remember an America where the vision was that our National Parks would be our National Parks – open to the public, paid for by all of us, available to all of us, handed down in perpetuity to our children. I went to High Lonesome Ranch’s website. Their guest rates (to visit the ranch) are so high, they won’t publish them. We have got recreate the America I grew up in, so that we’re not beholden to the top 1-percenters for everything in a rigged game. Thanks for your post. I just had a great idea for the next Center for Freedom and Prosperity video narrated by one of your lovely interns!